A giant python coils around and destroys this city bus. 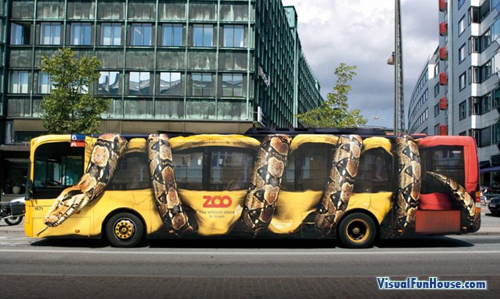 This amazing eye catching ad was created by Peder Schack from Y&R as a promotion for the Copenhagen zoo. 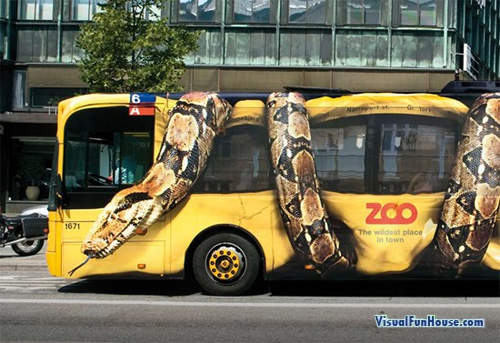 This has to be one of the best bus wraps I have seen in ages! I love the detail and 3D look it gives. Be sure to check out some of these other Bus wrap Illusions or the smaller scale painted cars on cars.